Canterbury icon Robert Wyatt steps out of his comfort zone with acclaimed sax man Gilad Atzmon in an unusual collection of light orchestral covers of standards (and a few re-arranged Wyatt classics). The big wins on the recording stem come from the astute ear of Ros Stephen's string arrangements that bathe the listener in a sweet European blanket of lithe violins and cellos. Her band Tango Siempre provides comfortable bedrock for both Wyatt and Atzmon to shine as both soloists and featured artists. Atzmon's Arabic tinged tone is especially recognizable on "Lullaby for Irena" and the creepy title tracks where he imparts subtle nuances for the introductions. Songs from the Wyatt catalogue include an instrumental version of his sprightly tune "Where Are They Now?" and "Maryan" from Shleep. His emotive cover piece "At Last I Am Free" is rendered in an altogether lighter mood too. 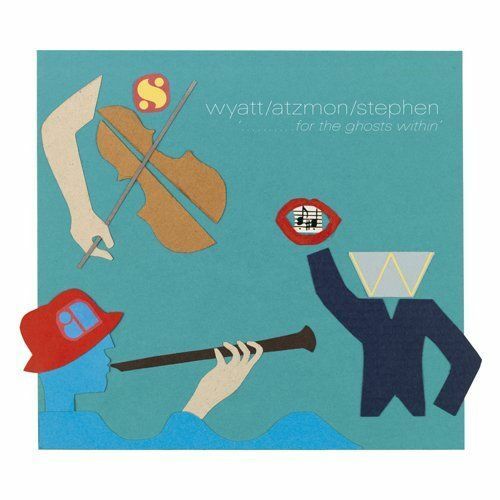 Standards given this unique treatment including Billy Strayhorn's "Lush Life" and the extraordinary Louis Armstrong classic "What a Wonderful World," where Wyatt's schoolboy vocal is as precious and poignant as ever. Monk's "'Round Midnight" (with whistled melody line) and "In a Sentimental Mood" are also charmingly rendered as well. Overall Noël Coward could find much to appreciate in this collection but it's not as stuffy. Special note: a bonus documentary DVD version of the album is also available that details the unique collaborative process between the artists.